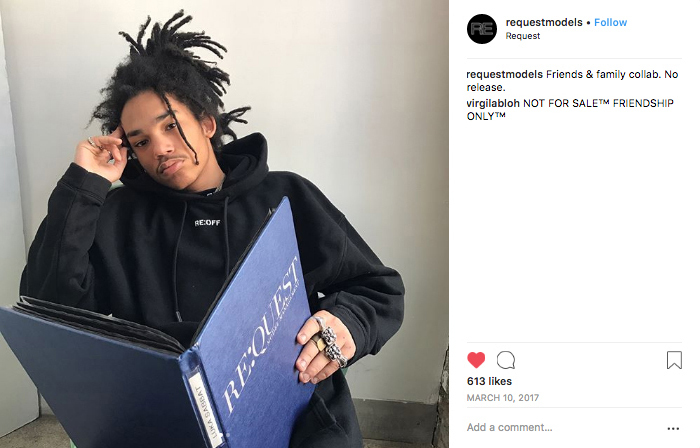 Conceptualized and project managed the partnership between ReQuest Models, Virgil Abloh, and Off-White in the creation of an exclusive hoodie. 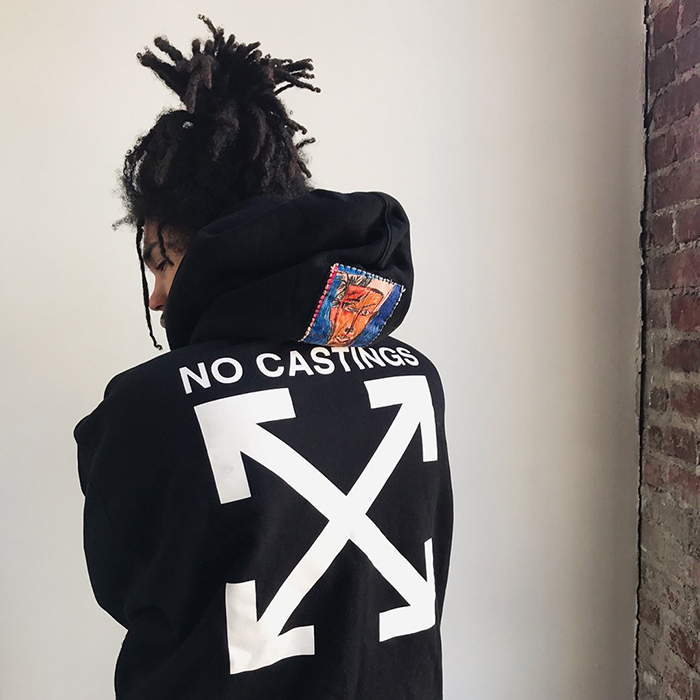 The ‘Friends & Family’ hoodie featured a sans serif combination of ReQuest and Off-White’s wordmarks on the front and the ubiquitous crossed arrows Off-White logomark on the back below the “No Castings” copy. The hand-stitched artwork on the hood is a scaled-down piece by the owner of ReQuest.